The Tabula Atlantis collect. 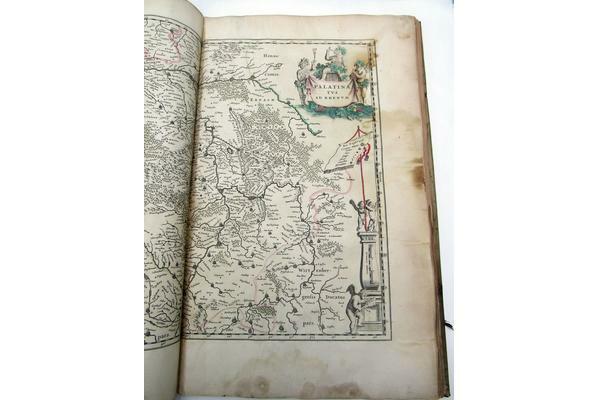 is an atlas, dating from the latter half of the 17th century, containing 54 maps by important well-known cartographers such as Visscher, De Wit, Sanson and others. 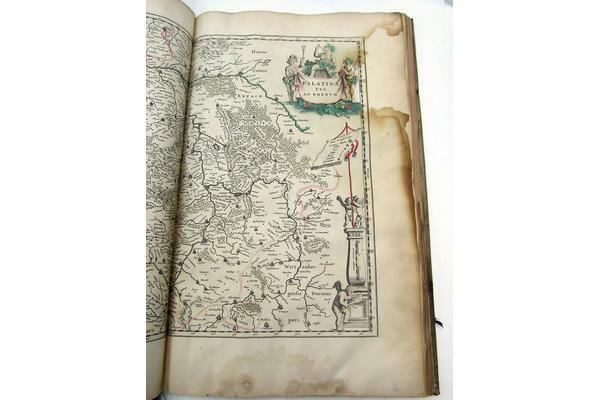 It is bound in parchment and was acquired by the Admiralty Library in Portsmouth in 1782, when it was purchased from a bookseller in Cambridge by the first Hydrographer of the Navy, Alexander Dalrymple. As the Admiralty didn't rebind books with parchment, it is likely the book came to them in its current form. 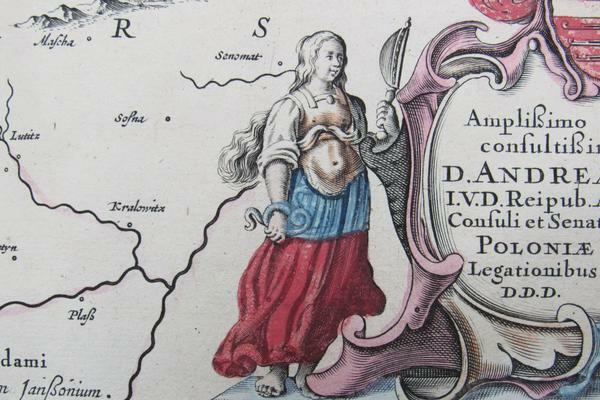 It has also been extensively hand-coloured which, while a common addition to antique maps to make them look more attractive, was never done at the Admiralty for fear of obstructing some of the finer details. 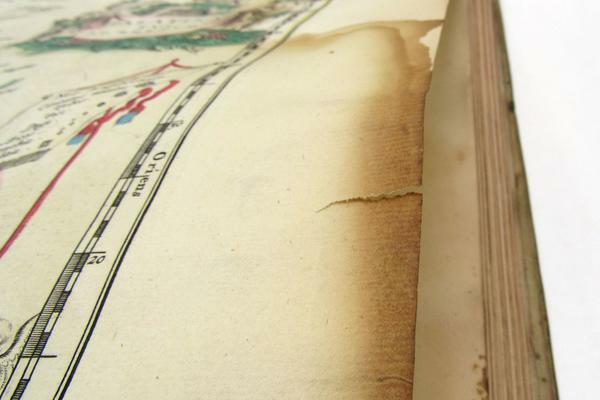 Although there is no record as to when and how, at some point in its life the atlas appears to have suffered considerable water damage. 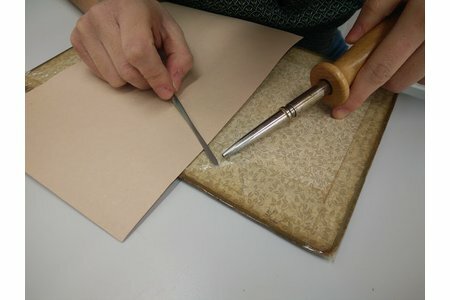 Exposure to moisture can be extremely damaging to parchment, causing planar distortions, shrinkage, and in some cases, hastening the process of gelatinisation. 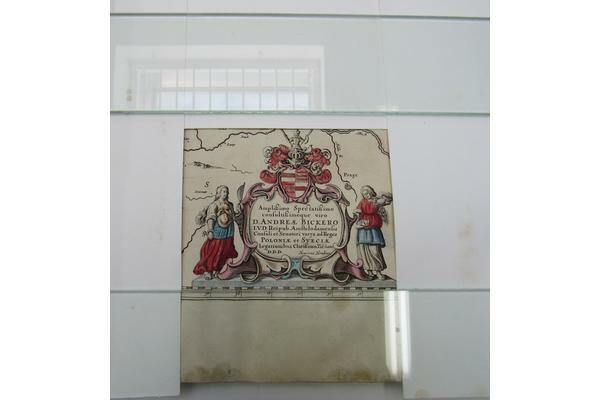 Fortunately, and for reasons unknown, the parchment itself seems to have escaped mostly unharmed. The textblock, on the other hand, bore the brunt of the damage. 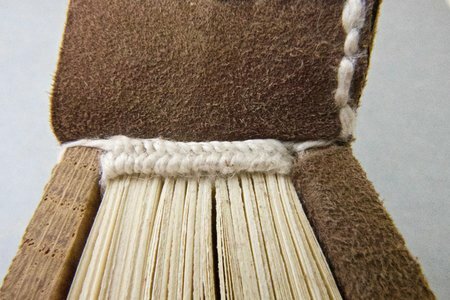 In addition to the problems common amongst historic books (detached boards, surface dirt, small tears and losses), the water has caused significant mould growth, damage of the pigment, and staining and discolouration of the paper. The first concern, before the book could even be surface cleaned, was the stability of the pigments. 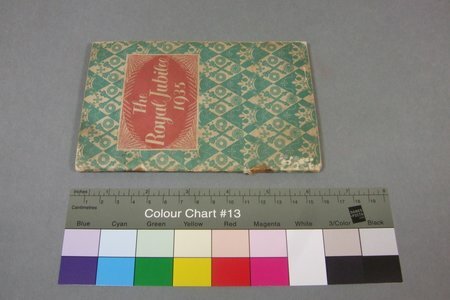 The water damage had solubilised the binder in the pigments used during the hand-colouring, causing them to move, and dry as a fine, powdery dust. The blues and reds were the most heavily applied and, thus the most damaged. At first glance, the colouring on the maps had appeared fairly crude, but its possible that the water damage actually moved the pigments. The artist may well have been better at staying within the lines that it now appears! 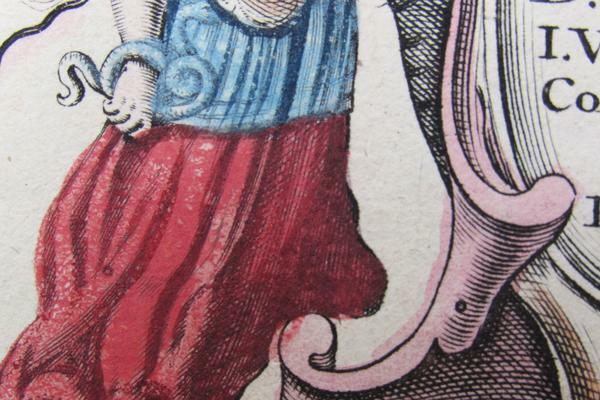 Pigment consolidation is a fairly essential part of art on paper conservation, but it crops up less often in books, especially printed ones. Flaking pigments can be consolidated with a brush but powdery pigments are a little different, as you don't want to move the pigments around on the surface. 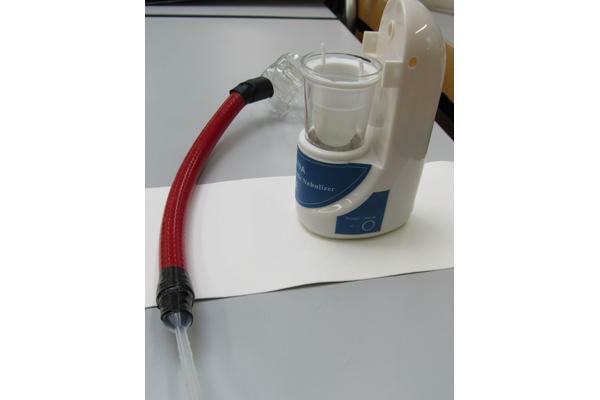 Ideally, you want to deliver the consolidant as a mist or a vapour, and while nebulisers for conservation can be purchased, they can be expensive, especially if their use will be infrequent. The best solution then was to improvise a bit. We found a cheap, home nebuliser online, intended for medicinal use, and adapted it, with some extra tubing, a little plastic pipette for the nozzle, and a lot of electrical tape. Not perhaps the most elegant looking of things, but certainly workable! I trialled it first on some samples made with pigments we already had in the Books department, and settled on a 1.5% solution of gelatine as the consolidant. A higher concentration runs the risk of leaving a glassy sheen on the surface of the pigments. After an application, the consolidant was allowed to dry, and then tested for any remaining offset. Although a time-consuming endeavour, treating each individual map was essential if the pigments weren't going to go wandering again. The next step was tackling the staining left on the paper from the water damage. Had the staining been merely unsightly, it may well have been appropriate to leave it alone. In setting out to conserve any object, the initial intention is to intervene as minimally as possible. 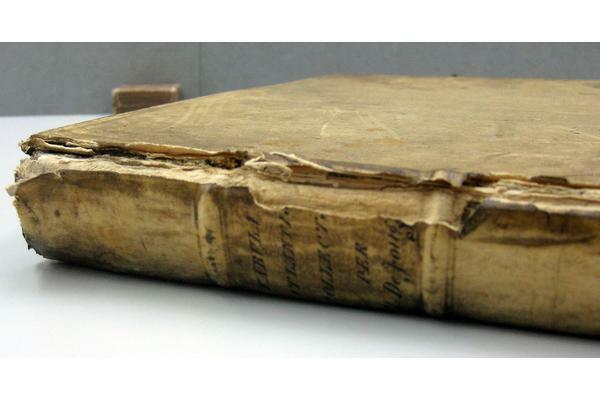 Completely removing the discolouration would entail disbinding the book entirely and the possible use of bleaches. It would be hugely disruptive to the historic integrity of the object, and couldn't really be justified. The staining itself is caused by the paper degradation products within the paper being moved by the moisture. In a lot of cases within this book, they have concentrated at the corners and along the margins, and consequently made the paper extremely brittle, inflexible and prone to tearing. Leaving them as they were was not an adequate solution. Out of the possible treatments, the use of a rigid gel was suggested, as it could hold water and thus limit its spread. It wasn't a perfect solution as it still required wetting the paper, but a gel might help limit the appearance of new tidelines in a way blotter washing couldn't. 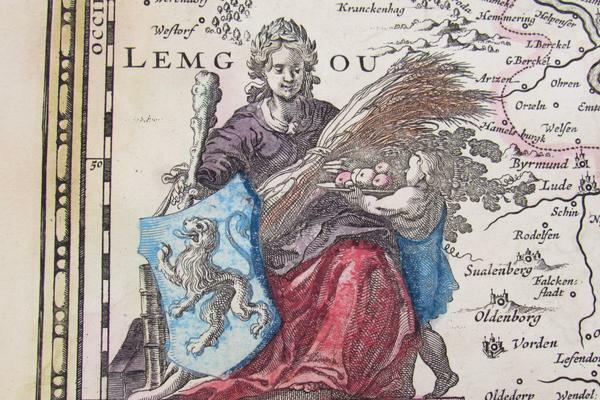 The solubility of the lighter hand-colouring meant that any aqueous treatment would have to be limited to the areas beyond the margin of the printing plate. If lighter tidelines did appear, it would be around the thick black line of the border so they might be less obvious. A 2.5% concentration gellan gel was made, and allowed to set. 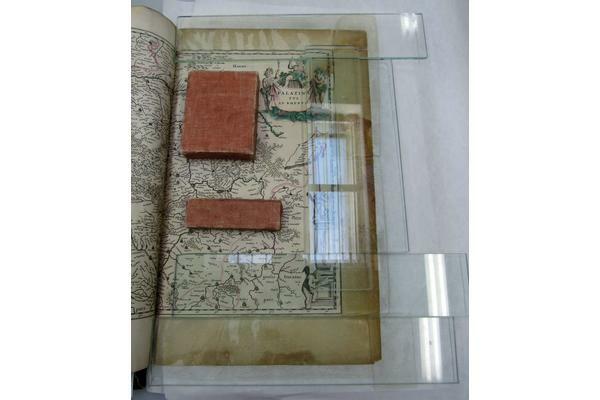 It was then cut into strips wide enough to cover the border areas of the maps. There was no ideal way to set up the book. Each map would have to kept as flat as possible during the treatment, so that even contact with the gel could be maintained. To do this everything from millboard to a piece of glass was experimented with, although the first was too flexible and the later too heavy. In the end, an acrylic sheet was used, although even this was more flexible than was ideal. Keeping the gel in even contact with the paper proved particularly problematic as the previous water damage had already cause some cocking. The gels had to be weighted down, although this had the unhappy consequence of forcing out more water into the paper than was desired. 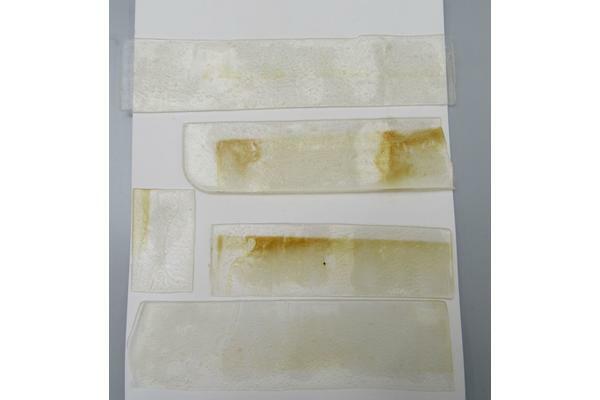 Depending on the degree of discolouration, the gel was left on the paper for up to 30 minutes before being removed, and the leaf allowed to dry between felts and a board. The results weren't wholly satisfying in that the treatment did cause both cockling and the appearance of new tidelines, particularly in the gutters. However, the tidelines were much lighter and less obtrusive than the original ones, and the cockling itself no different to the cockling from the original water damage. The handleability of the paper was vastly improved. The treatment restored much of its flexibility, and meant that the tears could now be repaired without fear of further damage. 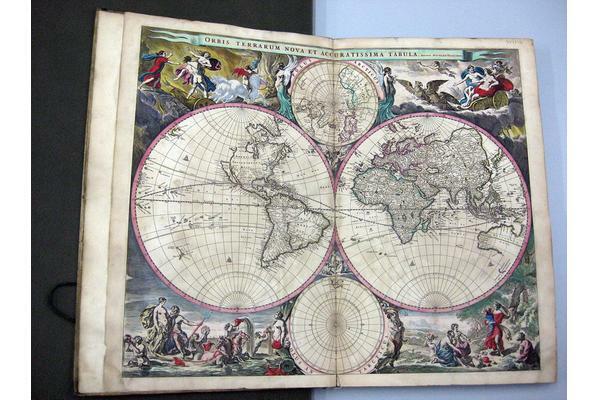 Although not the primary motive, the appearance of the maps is also much improved. From the outside the atlas looks pretty much as it did before the treatment started, but its condition on the inside is much improved. Now, onto dealing with the mould damage!